AIMS: To additionally purify and characterise the anti-RNA virus-directed protein termed p14. 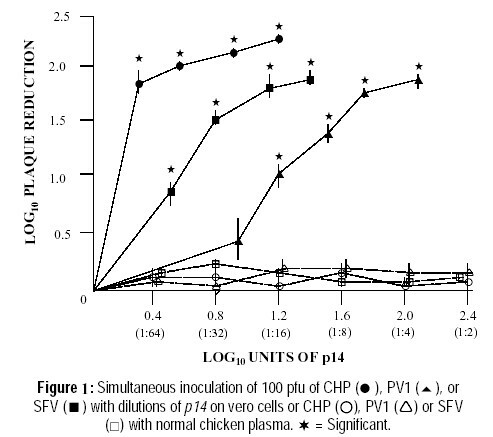 MATERIALS AND METHODS: Antiviral assays of p14 against RNA and DNA viruses were carried out and its antigenic similarities with chicken interferon (CIFN) were studied. HPLC-Reverse Phase of p14 was performed to further purify p14. RESULTS: p14 showed antiviral activity against RNA viruses only and not against DNA viruses. It was antigenically distinct from CIFN. Purification of p14 yielded three proteins with antiviral activity, which had different physico-chemical properties than those described for interferons. CONCLUSIONS: The data presented on the antiviral, immunological and physico-chemical properties, establish the unique nature of p14 vis-Ã¡-vis those of interferons. AIMS: To find out the status of DNA, RNA and protein in human uterine, ovarian, breast and rectal carcinoma. 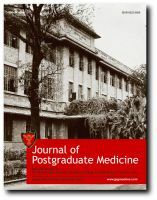 MATERIAL AND METHODS: In this prospective study, patients of age group between late thirties and late fifties suffering from uterine, ovarian, breast and rectal cancer were taken as subjects of the present study. The total number of cases studied for each cases was ten. Pieces of human carcinomatous tissues of above mentioned cases were taken along with surrounding normal tissues. From the tissue samples, putrescine is separated by the method of Herbst et al, DNA analysed by Diphenylamine method, RNA by Orcinol method and protein by Biuret method. RESULTS: Tissue content of putrescine rises simultaneously with that of DNA, RNA and protein in carcinomatous growths as above in comparison to their respective adjacent normal tissue, the differences being statistically highly significant. CONCLUSIONS: Increase in DNA, RNA and protein concentration may be a pre-requisite for increased synthesis of putrescine in carcinomatous tissue and thereby the concentration of other di- and poly-amines. AIM: The use of indomethacin in treatment of hydramnios was evaluated. SUBJECTS & METHODS: Twelve patients with symptomatic hydramnios were treated with indomethacin (2.2- 3.0 mg/kg body weight/day). RESULTS: The treatment was started at a gestational age of 31.17-/+7.94 weeks and continued for 3.74-/+2.3 weeks. Eleven patients responded to the therapy both subjectively and objectively and pregnancies were prolonged by 4.6-/+3.1 weeks (range 0.1-10 weeks). Five women had term deliveries. Six patients had a favourable perinatal outcome. Four patients who had a known congenital anomaly in the foetus, delivered stillborn babies or had an early neonatal death. One patient who did not follow up after commencing therapy delivered a full-term stillbirth. One patient delivered within 1 day of starting therapy. Indomethacin therapy caused no maternal complications. CONCLUSION: Indomethacin was effective in the management of hydramnios and preventing it's complications. AIMS: To determine incidence and risk factors for hypomagnesaemia in children admitted in Paediatric Intensive Care Unit, (PICU). SUBJECTS AND METHODS: Prospective study was carried out on 80 children admitted in PICU. The patients were clinically assessed for nutritional status, neurological status on Glasgow coma scale, congestive cardiac failure, etc. and relevant biochemical parameters including serum and red cell magnesium levels were done. 25 patients of the same age group admitted in general ward who were not in critical state were included as a control group. RESULTS: 70% of PICU patients had hypomagnesaemia, which was more common in patients on aminoglycosides and diuretics. CONCLUSION: In view of complications of magnesium depletion and benign nature of appropriate magnesium therapy critically ill children should have their magnesium level monitored. 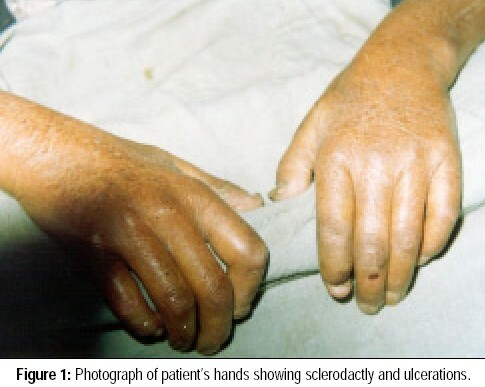 Systemic sclerosis is a multi system disorder characterised by fibrosis of skin and internal organs. There are reports of relation between cancer and polymyositis/dermatomyositis, but no overall association with systemic sclerosis. Reports of the coexistence of cancer and systemic sclerosis, however, emphasise a close temporal relation in their occurrence. Cardiac involvement in the form of myocardial fibrosis and pericarditis occurs frequently in systemic sclerosis, while valvular involvement has been reported only sporadically. We report a patient, admitted for adenocarcinoma of left breast who was found to have features of systemic sclerosis, pulmonary hypertension, gangrene of toes, and stenotic mitral valve disease. The possible mechanisms of the coincidence of the three disorders are discussed. Enteric fever is a common infectious disease of the tropical world, about 80% of these cases occur in Asian countries. Enteric fever presenting with isolated cerebellar ataxia or nephritis is rare. 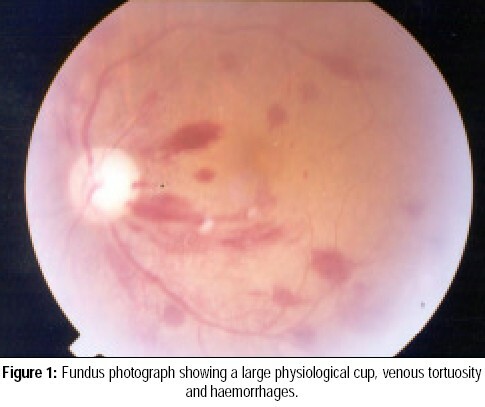 We report three cases of enteric fever that presented with these complications. Isolated cerebellar ataxia usually occurs in the second week, whereas in our cases it presented within first four days of fever. The common complications of enteric fever related to the urinary tract are cystitis, pyelitis, and pyelonephritis. Glomerulonephritis is uncommon. Most patients with enteric glomerulonephritis present with acute renal failure, hypertensive encephalopathy, or nephritic syndrome. In comparison, our case had milder manifestations. All three patients were treated with parenteral ceftriaxone and showed a prompt recovery. 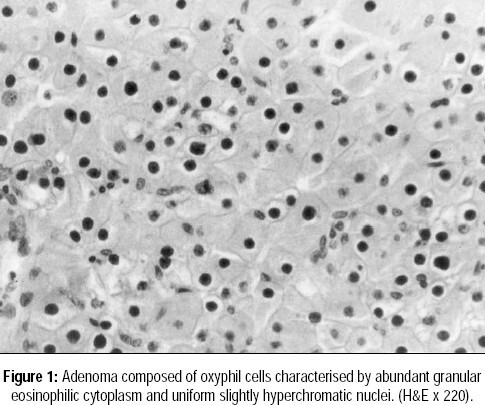 A 65-year-old male was admitted for evaluation of severe anaemia, recurrent epistaxis, axillary lymphadenopathy, and hepatomegaly. The diagnosis of Waldenstrom's macroglobulinaemia was made on the basis of clinical and laboratory findings. The patient developed intracerebral haemorrhage without associated hypertension and with normal coagulation profile. 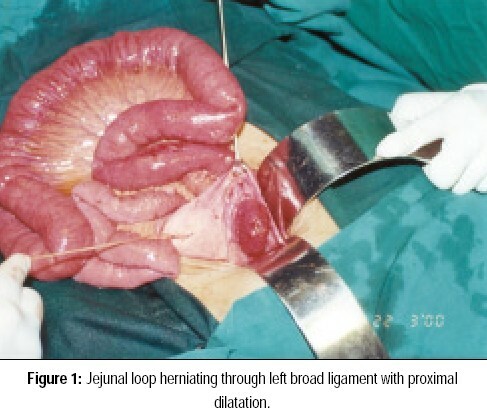 Internal herniation of small bowel through broad ligament causing obstruction is rare. A case of jejunal herniation through broad ligament defect with resultant obstruction and perforation is presented. 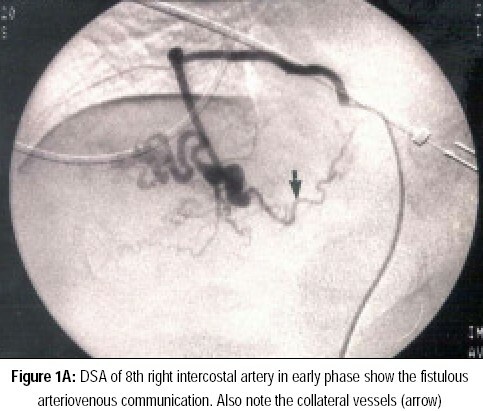 True aneurysm of the splenic artery is rare. 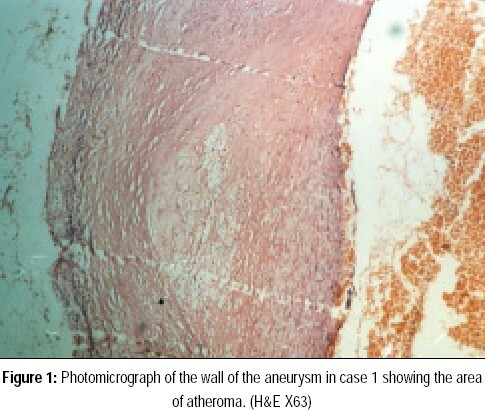 Two cases of ruptured true splenic artery aneurysms are presented. 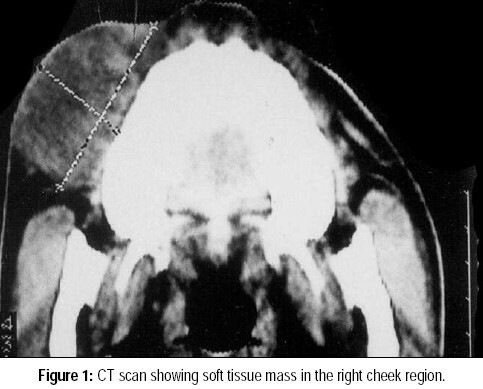 The first patient was a 62-year-old female who presented within 6 hours of the onset of symptoms. The other was a 27-year-old non-alcoholic male patient who was admitted in a state of shock after 2 days of observation in a peripheral hospital. Both patients had haemoperitoneum and were subjected to exploratory laparotomy. Aneurysmectomy was performed in both the patients in addition to left splenopancreatectomy in the first case and splenectomy in the second. However, due to the prolonged preoperative shock, the second patient succumbed on the third postoperative day. The role of rehabilitation in the management of vertigo is limited to a very specific group of conditions. An Occupational therapist who is a part of the multidisciplinary team treating the vertiginous patient, with the knowledge of physiology and therapeutic benefit of vestibular rehabilitation can widen the rehabilitation spectrum for various diseases producing vertigo and dysequilibrium, to resolve or minimise these symptoms. The present article reviews the need for vestibular rehabilitation and the different conditions needing the same along with its characteristics, physiology and various exercises prescribed. Defects in structures or functions of mitochondria, mainly involving the oxidative phosphorylation, mitochondrial biogenesis and other metabolic pathways have been shown to be associated with a wide spectrum of clinical phenotypes. The ubiquitous nature of mitochondria and their unique genetic features contribute to the clinical, biochemical and genetic heterogenecity of mitochondrial diseases. This article focuses on the recent advances in the field of mitochondrial disorders with respect to the consequences for an advanced clinical and genetic diagnostics. In addition, an overview on recently identified genetic defects and their pathogenic molecular mechanisms are given.